Teleradiology Stroke Protocol Program - ONRAD, Inc.
Riverside, CA (MarketWire) November 14, 2010 – ONRAD, Inc., a leading radiology services provider, is now offering teleradiology services for stroke protocol studies. ONRAD’s physician group maintains an average turnaround time of only 8 minutes for stroke protocol studies. “This service would be particularly valuable to certified Stroke Centers,” said Dr. Alix Vincent, Neuroradiologist and CEO of ONRAD Medical Group. Joint Commission certified Stroke Centers must adhere to rigorous requirements for turnaround time – for 80% of stroke exams, certified Stroke Centers are required to provide an interpretation and communicate results to a member of the stroke team within 45 minutes. On average, ONRAD physicians provide results directly to the referring physician within 8 minutes.  “ONRAD’s Teleradiology Stroke Interpretation program emphasizes physician-to-physician communication,” said Dr. Vincent, “it is our policy to call in results on every study, whether the results are positive or negative.” ONRAD Medical Group includes fellowship trained Neuroradiologists, many of whom have held academic appointments at U.S. universities. Hospital scans patient, sends images to ONRAD, and calls to confirm receipt. Exam is prioritized and sent to first available radiologist. ONRAD radioligist reviews images and calls results in directly to referring physician. Physician communication is documented on report and it is faxed to the hospital. The Account Management team also works closely with Stroke Center customers to proactively monitor teleradiology turnaround times and quality. Monthly turnaround time reports are provided to each customer and detailed quarterly reports can also be created.